Last month, I wrote about a very annoying issue, that I discovered during a Windows 10 VDI deployment: Roaming of the AppData\Local folder breaks the Start Menu of Windows 10 Enterprise (Roaming of AppData\Local breaks Windows 10 Start Menu). During research, I stumbled over dozens of threads about this issue. Today, after hours and hours of testing, troubleshooting and reading, I might have found a solution. User oliober did the same: He roamed only a couple of folders, one of them is the TileDataLayer folder, but not the whole Appdata\Local folder. 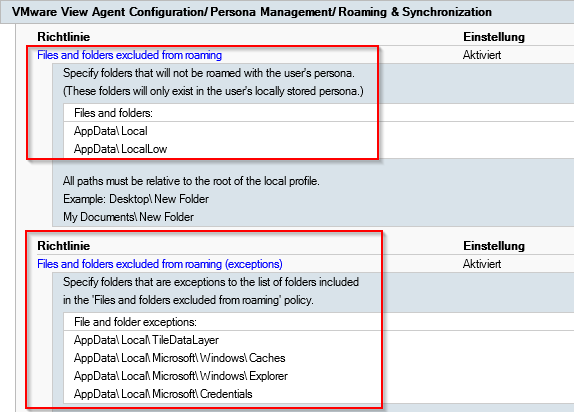 To make a long story short: You have to enable the roaming of AppData\Local, but then you exclude AppData\Local, and add only necessary folders to the exclusion list of the exclusion. Sounds funny, but it seems to work. I am very interested in feedback. It would be great if you have the chance to verify this behaviour. Please leave a comment with your results. 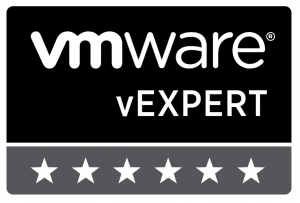 This entry was posted in Virtualization and tagged horizon view, microsoft, vdi, vExpert, view, vmware, windows 10 on July 25, 2017 by Patrick Terlisten. What we found was we could roam the %localappdata% but we would just not roam %localappdata%MicrosoftWindowsUsrclass.dat file. That works because you’re not roaming the usrclass.dat file (located at %localappdata%microsoftwindows). 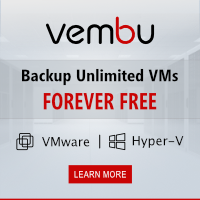 If you do not roam that file you will not have issues with a broken start menu. Interesting hint. With which Windows 10 builds did you test this?